It’s been said that variety is the spice of life, and the same could be said for riding. After all, life’s too short to spend all of your time out on the bike path. It’s been said that variety is the spice of life, and the same could be said for riding. After all, life’s too short to spend all of your time out on the bike path. It’s time to grab your ride by the horns, take it out of the city, and let it roam free. It’s time to get on a Women’s Pitch Sport 650b. 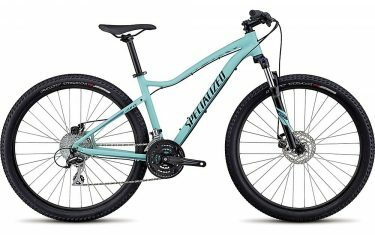 We built it with an aluminium construction that’s durable and compliant, while the Women’s Sport Trail 650b Geometry ensures that you’ll remain both comfortable and confident when your wheels hit the dirt. With corrosion-resistant hardware, dependable brakes, and the ability to mount a kickstand, this Pitch is ready to take you wherever you need to go. 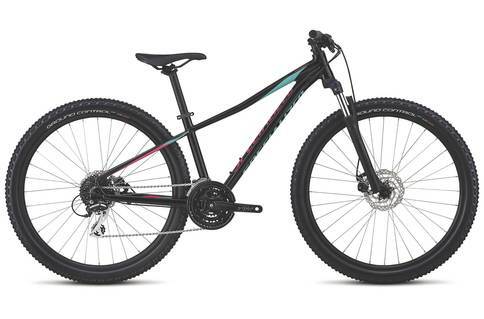 The frame is constructed from lightweight A1 Premium Aluminium in order to provide a compliant, durable platform to support our acclaimed Women’s Sport Trail 650b Geometry. 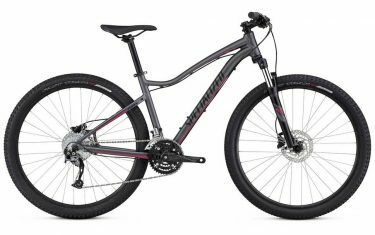 Combined, you get a bike that’s extremely versatile, making it equally capable on the climbs and descents. Custom SR Suntour 650b fork pairs a coil spring with our Multi-Circuit Damping technology to eliminate any “pogo” effect by delivering 80/100mm (size-specific) of hydraulic damped suspension and rebound that smooths out rough terrain.A Shimano Acera rear derailleur controls the rear shifting with durable aplomb. It shifts along a wide gear range, 11-34t, so you can ride confidently knowing that you’ll always have the right gear for the hill at hand.